An excellent article on enjoying pre-tenure work and life in Scientific American, by Radhika Nagpal, Professor of Computer Science, in the Harvard School of Engineering and Applied Sciences. 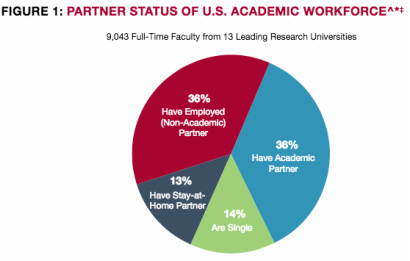 This is a great and informative read on Dual-Career Academic Couples. Why graduate students reject the fast track, from Academe Online, has some interesting antidotes to help fix some broken aspects of academia relative to finding the work/life balance.